A novice might ask what is a micro-niche blog? A micro-niche blog is a blog that discuss a specific topic in details compared to a general blog that discuss various topics, a micro-niche blog is very detailed and specific. 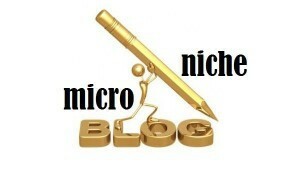 One of the benefits of running a micro-niche blog is that, it’s easy to set-up and can make huge sum of money when properly monitored, but the objective of this article is to discuss the disadvantages of running a micro-niche blog. anything from the blog, therefore you’re expected to do a lot of research, using various tools and decide which keyword would earn your desired income. Doing keyword research is a very difficult task which requires expensive premium tools that a newbie might not be able to afford. Trying to rank a general blog for a particular keyword at a particular period of time is one thing, but for micro-niche blog, you’re expected to target a particular keyword and compete fiercely with other bloggers, if you don’t win a spot on the first search result page, then you would probably not get any visitor to your blog, this makes SEO very difficult compared to a general blog. Google AdSense is frowning on micro-niche blog recently because they observed it’s a just for profit blog, this makes it difficult for them to get accepted into Google AdSense programme, if you have an AdSense account before, there is every tendency that you might get your account banned once they notice that it is associated with numerous micro-niche blog. Google search algorithm is very complex, and several attempts to understand how it works has been futile, when Google run her search algorithm periodically, micro niche blogs get flagged and they tend to lose their spot on search result page, which means, low blog traffic and earnings. Assuming you got tired of the blog and you decide to sell it after some period of time, it becomes difficult to sell the blog as the market value would not be encouraging, this is partly due to the fact that, the potential of earning huge income from a micro niche blog after a particular period of time becomes low. Due to some seo reason, micro-niche blog often have exact domain name with their targeted keyword, this makes it difficult for visitors to remember because most of this names are long-tail keyword, it could be as long as 23 words or three phrases. That’s five articles in total, the last one in compensation for the one that was short in the previous order. Bro, your topics are becoming a bit difficult, making it more difficult for me to write around it, you’re giving me constriction with the number too, i.e. 5 ways to ……, it’s making writing difficult, Please endeavors to make proper research with the topic and ensure that the topic is something that has reasonable content that can be created about it. Take for instance the second topic in this order, it took me several hours before I could come up with what I wrote there, personally I don’t like what I wrote in that article because it’s not up to my standard, but the topic is weird and wrong (from my perspective).